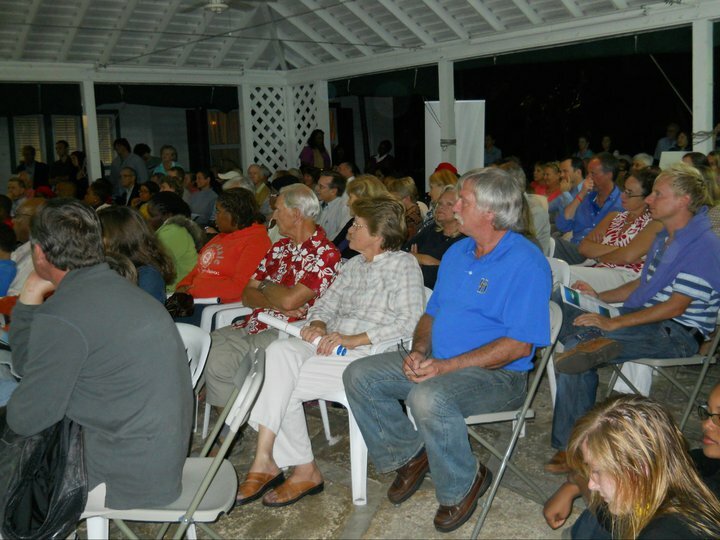 Held at the Bahamas National Trust home at Retreat Garden National Park, the event was standing room only. During the event Pierre presented Bahamas National Trust executive director Eric Carey with one of his father's iconic red beanie caps. 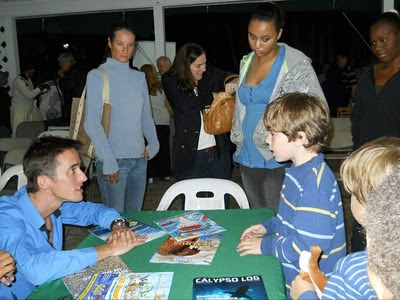 Pierre also spent some quality talking to the kids who came to meet him. 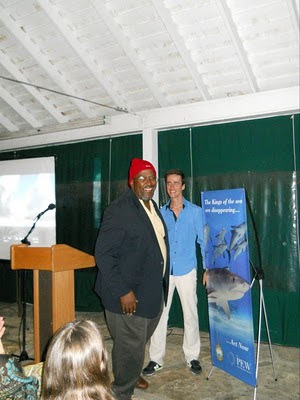 There will be another event with Pierre on Monday, January 10, 2011 at Rand Nature Center on Grand Bahama. If you are interested in attending and meeting Pierre, you can RSVP for the event on Facebook. Photos courtesy of Bahamas National Trust.